To learn more about transportable and ?quickly build houses? 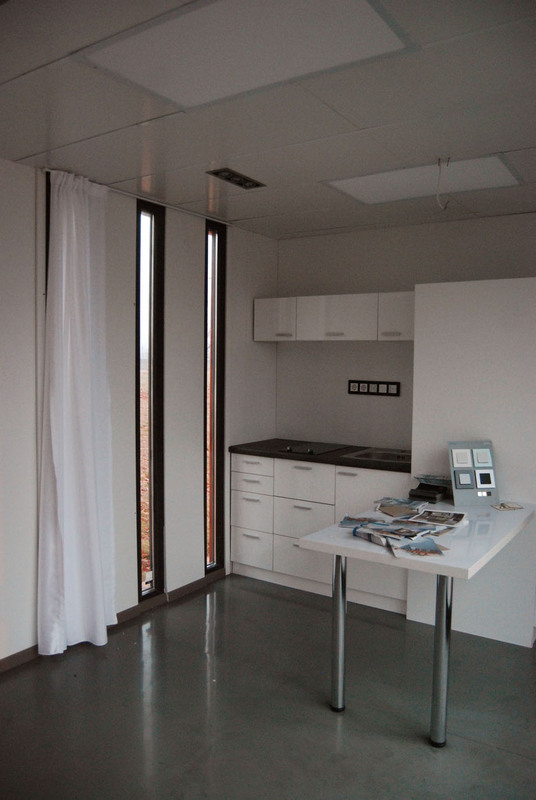 our architects visited the Hungarian Domino mobile house. Kitti Kőrösi?s report. ?They saw us pleasently, numerous technical and economical questions of ours were anwered, also we were given useful tips. It was good to see how a mobile house like ours works in everyday life, which is open to the public regularly and receives great interest. The house represents a very high standard, you should learn more about is! - The idea ? as the host says- came this way: he wanted to build a weekend house, but the site was too small, therefore, he was thinking about a mobile house. As he couldn?t find any acceptable in Hungary (in those times, not ever further) he hired an architect studio (and-an studio) to design one for him. Thanks for the opportunity to see the house a Domino, and thanks for Zsolt Varga for the original idea. ?